Don’t want to waste too much phone power for sharing hotspot, but want to connect your iPad Air with the Internet? 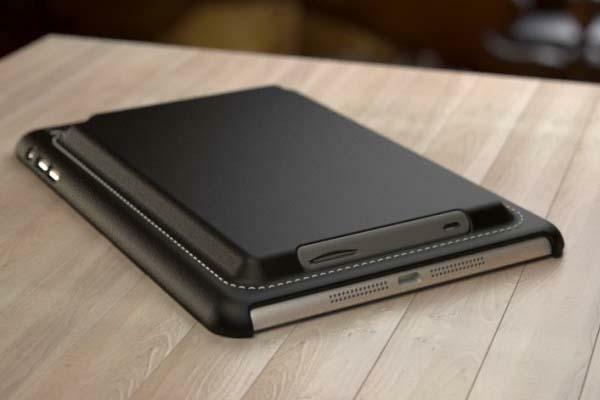 Take a look at FiiV, the iPad Air case with built-in SIM card slot may be a nice solution. The FiiV is a unique and versatile snap-on protective case designed for iPad Air. As shown in the images, the iPad Air case sports a sleek and elegant design along with a matte finish and multiple optional colors to meet different users’ styles and offer a comfortable grip. Most importantly, the iPad Air case features a built-in SIM card slot. Just plugging a pre-paid data SIM card in the slot, you will get a WiFi network that not only allows your iPad to access to the Internet, but also shares the network with other devices like your laptop. Moreover, built-in backup battery offers extra power to your iPad Air. Of course, hadshell design guards your tablet from bumps and scratches. After the break, check out the demo video. The team of FiiV is raising fund via Indiegogo. Pledging $99 will let you own the iPad Air case with SIM card slot and backup battery. Additionally, there is another model for iPad mini. If you’re interested, head to Indiegogo official site for more details.